David Alan Tepper (born on September 11, 1957) is an American value investor, successful hedge fund manager and the founder of Appaloosa Management. His investment specialty is distressed companies. In recent years he's become known as a philanthropist, his largest gift going to Carnegie Mellon University, whose Tepper School of Business is named after him. He earned his MBA (then known as an GSIA) from Carnegie Mellon in 1982. In April 2007, Tepper was ranked ninth in Alpha Magazine's ranking of top hedge fund earners in 2006, with earnings of $670 million. 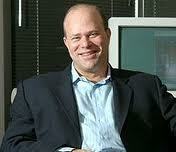 In 2003, Tepper was considered to be ?the hottest investor on wall street? and was one of the top 10 money earners in Institutional Investor?s Alpha?s Ranking of the world?s 25 Highest-Paid Hedge Fund Managers in 2004. He also ranked second on the same list in 2003. With an estimated current net worth of around $1.2 billion, he is ranked by Forbes as the 645th richest person in the world. Matching performance of David Alan Tepper by investing same stocks.